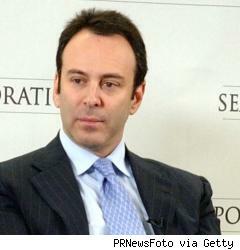 Edward or Eddie Lampert is the chairman of Sears Holdings Corporation (SHLD) and also the founder and chairman of ESL Investments. After graduating from Yale University, Lambert joined Goldman Sachs as an intern and later joined the company?s Risk Arbitrage department. After working at the company for 3 years (1985-1988), Lampert quit the job to establish ESL Investments in Greenwich. The name of ESL is drawn from Lampert?s initials. ESL Investments is a privately owned hedge fund that invests in American public equities. ESL is unique in the sense that it takes huge stakes in a small number of companies and holds them for many years. This is typical of passive investment funds who do not think that active trading can return a decent rate of profits. Matching performance of Eddie Lampert by investing same stocks.